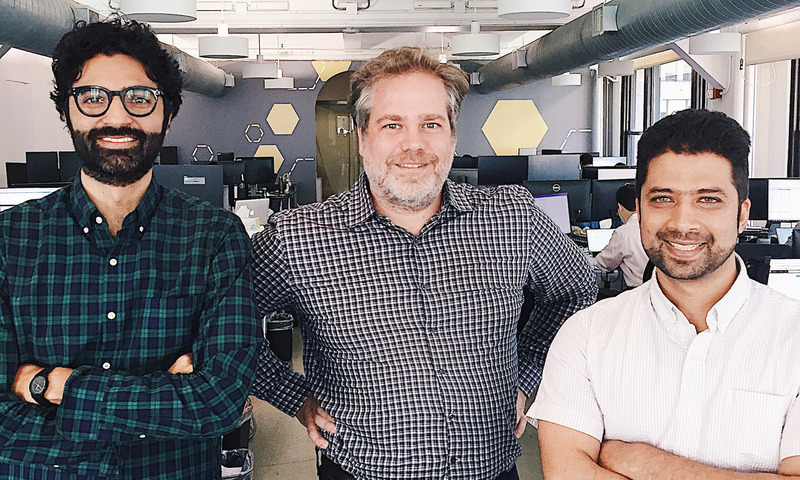 Beeswax is an ad-tech startup in New York founded by three former Google executives. The founders of Beeswax said they chose their company’s name so it would stand out in a crowded industry. They deliberately avoided using the word “ad” in their name to distinguish them from their competition. One of the most important factors to weigh when choosing the name of a company is how memorable it will be to your customers. The founders of Beeswax kept that in mind. Beeswax is a New York ad-tech startup founded by three former Google ad executives. The company pioneered a new way for marketers to bid for ads online. Three years after the startup’s launch, its revenue was estimated at $US25 million. So what does beeswax have to do with advertising? The metaphor doesn’t stop there. The names of Beeswax’s products are on-brand references like Buzz, Drone, Stinger, Pollinator, and Waggle, the name of a dance bees use to communicate. The walls of Beeswax’s Manhattan office are painted with hexagonal, honeycomb-like designs. “We’re doing something really different, we’re doing something pretty bold. We want it to be memorable,” chief product officer Shamim Samadi told Business Insider. For the founders, choosing a unique name for their startup was also a way to distinguish them from their competition. In New York City alone, the crowded ad-tech industry includes companies with names like AdRoll, AdHawk, ADstruc, adMarketplace, and xAd, and Paparo said “it was the No. 1 requirement” that their name didn’t have “ad” in it. Samadi put it more bluntly. “No one’s asked what our company name is twice,” he said.